Setting aside the judgment of the High Court which had found the accused guilty under section 308/34 of the IPC, Division Bench of The Supreme Court restated that if the prosecution has suppressed the genesis and origin of the occurrence of crime, the accused are entitled to get benefit of doubt. 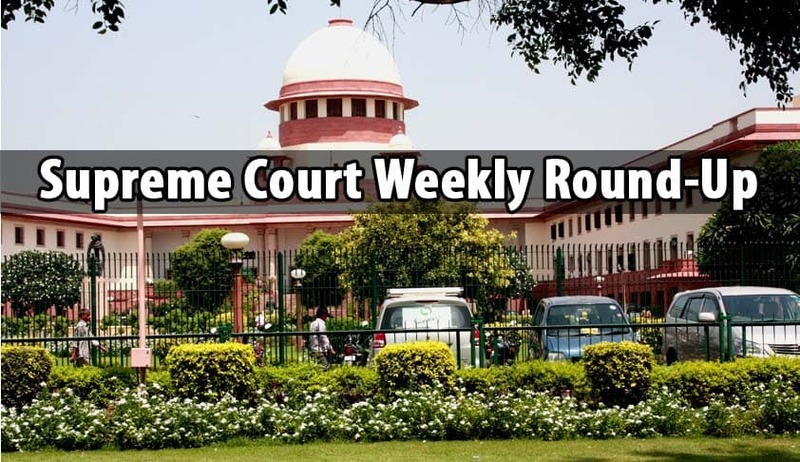 The Supreme Court observed that, factum of delay in lodging FIR in Section 498-A cases has to be dealt with sympathetically keeping in mind the mental condition of the close relations of the victim. The Supreme Court on Tuesday rapped the All India Council for Technical Education (AICTE) for delaying the grant of approval to technical colleges and flouting the schedule set by it. The delay in grant of approval by AICTE has resulted in postponement of the counselling session for students. Division Bench of Apex Court has referred to a larger bench the question on applicability of doctrine of mutuality to clubs after the 46th amendment to Article 366 (29A) of the Constitution of India. The Apex Court upheld the order of a Chief Metropolitan Magistrate discharging Videocon Industries Ltd. and its officer who were facing trial for the offence punishable under Section 56(1) (i) of the Foreign Exchange Regulation Act, 1973 for the alleged contravention of the provisions of Sections 18(2) and 18(3) of the Act. Court has re-iterated that in Case of parallel proceedings, if the exoneration in adjudication proceedings by the Tribunal is on merit, criminal prosecution on the same set of facts and circumstances cannot be allowed to continue, the underlying principle being the higher standard of proof in criminal cases. The Supreme Court on Friday directed the Government of Madhya Pradesh to grant a sum of Rs.5, 00,000/- (rupees five lakhs only) each towards compensation to two Women who were arrested in violation of law. The Bench also quashed the proceedings against them pending before the Magistrate Court under Section 66-A(b) of Information Technology Act read with Section 420 and 34 of the IPC.